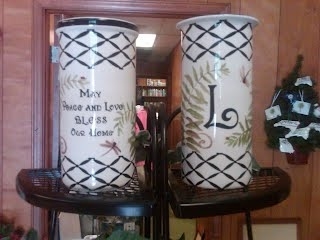 Customized hand-painted wine cooler and glasses. Perfect for anniversaries! Multiple designs available!